Built-in shelving hold all the accoutrements for a proper cheese board. 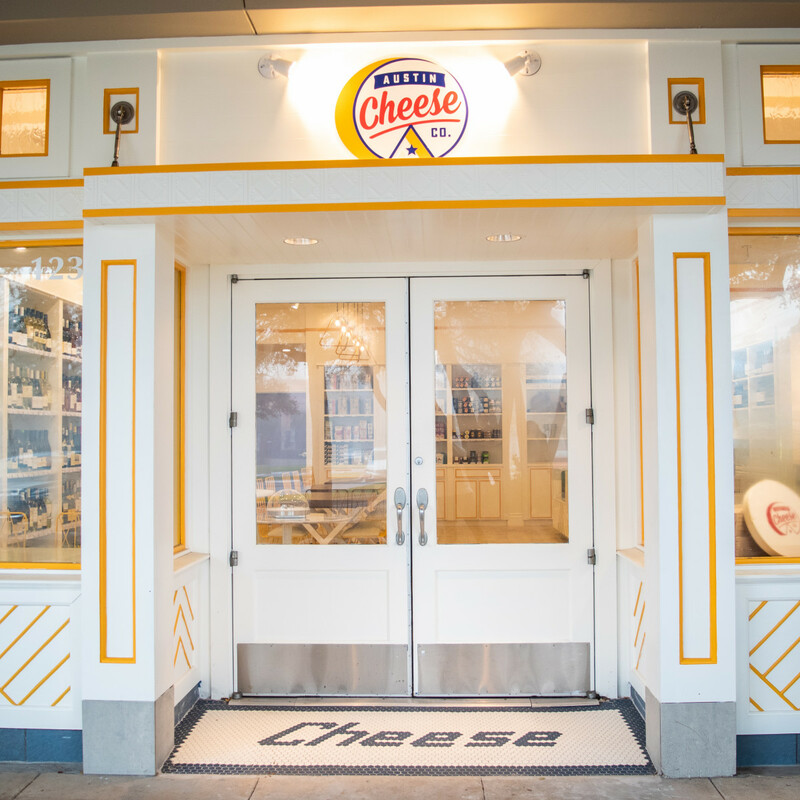 Photo courtesy of Austin Cheese Co.
Customers are greeted by a cheerful storefront. Photo courtesy of Austin Cheese Co. The cases are filled with a selection of mostly American cheese. Photo courtesy of Austin Cheese Co.
Austin Cheese Co. sets the scene with a bright, poppy look. 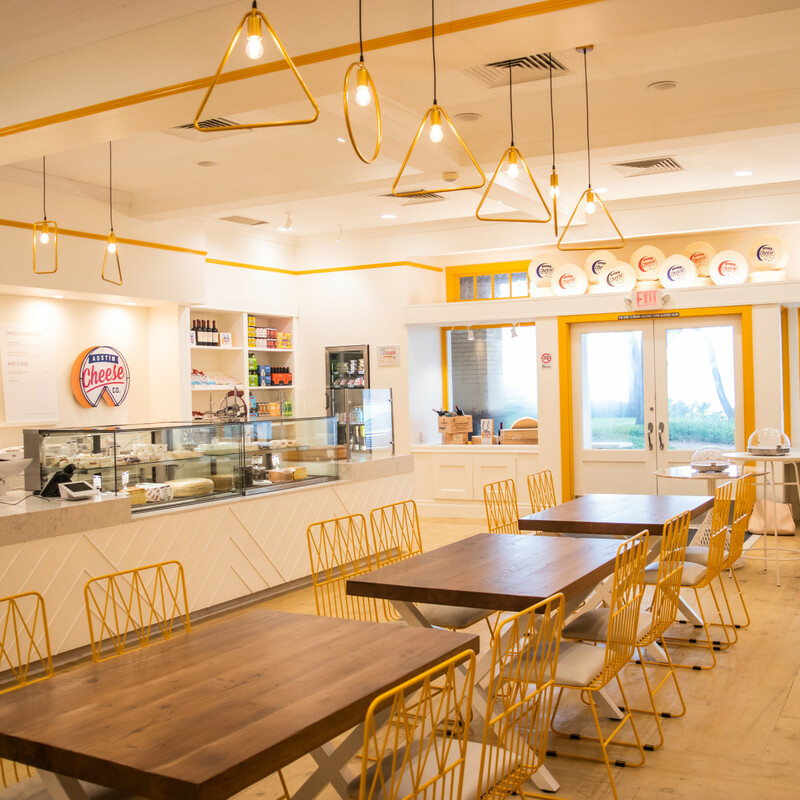 Photo courtesy of Austin Cheese Co.
Geometric fixtures provide pop. 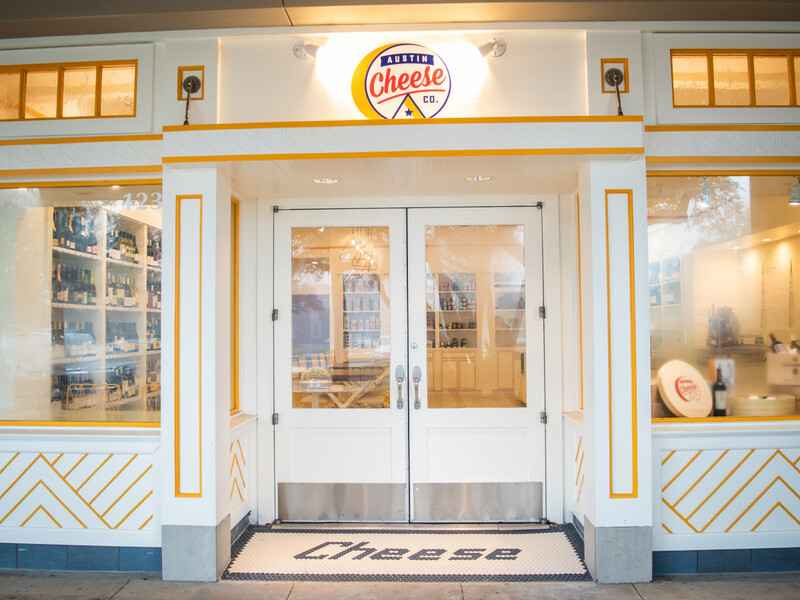 photo courtesy of Austin Cheese Co.
Austinites who believe everything is better with cheddar now have a new reason to melt. 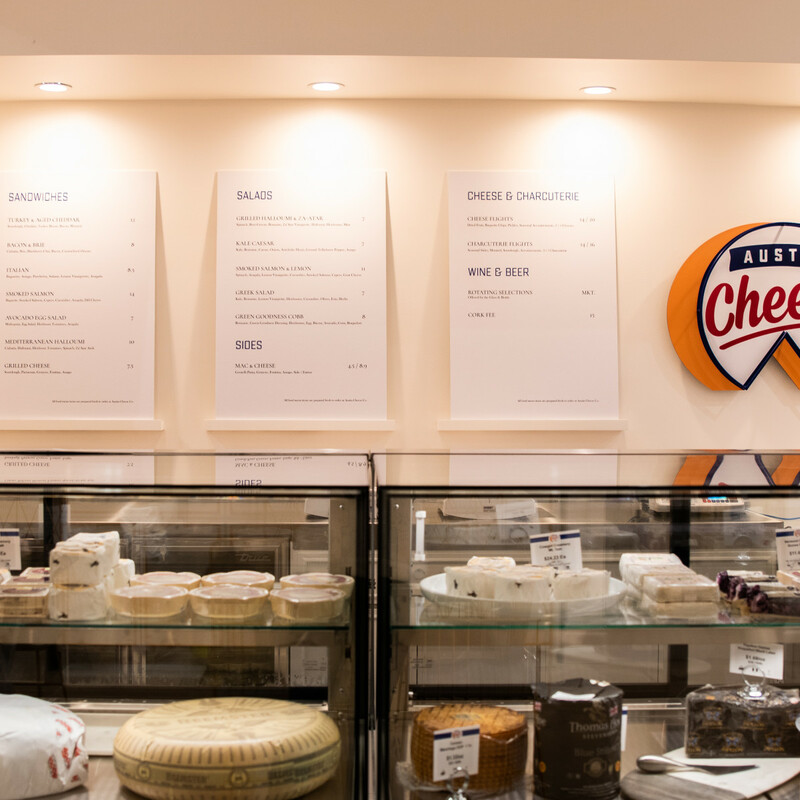 On November 6, a new shop specializing in artisan cheese debuted at 10000 Research Blvd. in the Arboretum. 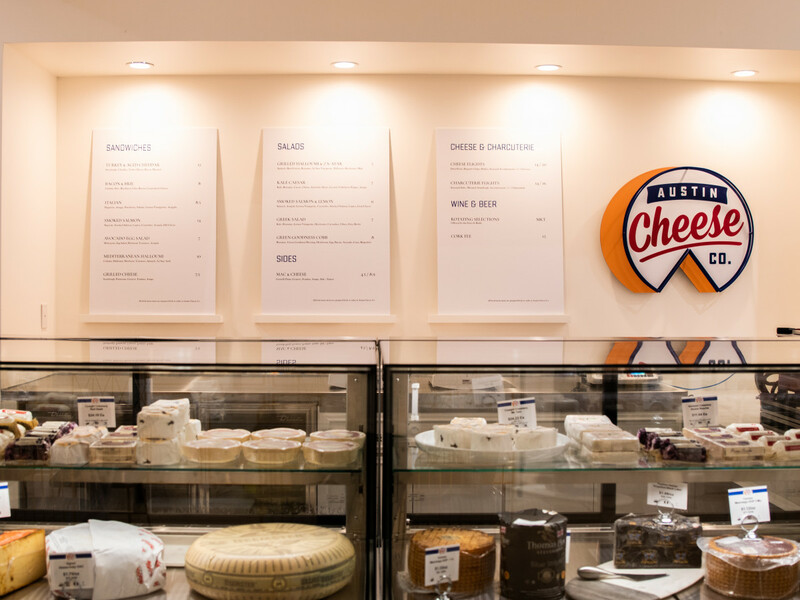 According to a release, Austin Cheese Co.’s aim is to make specialty cheeses approachable by providing samples, introductory tasting classes, and a trained staff capable of guiding guests through the nuances of the many varieties available for purchase. 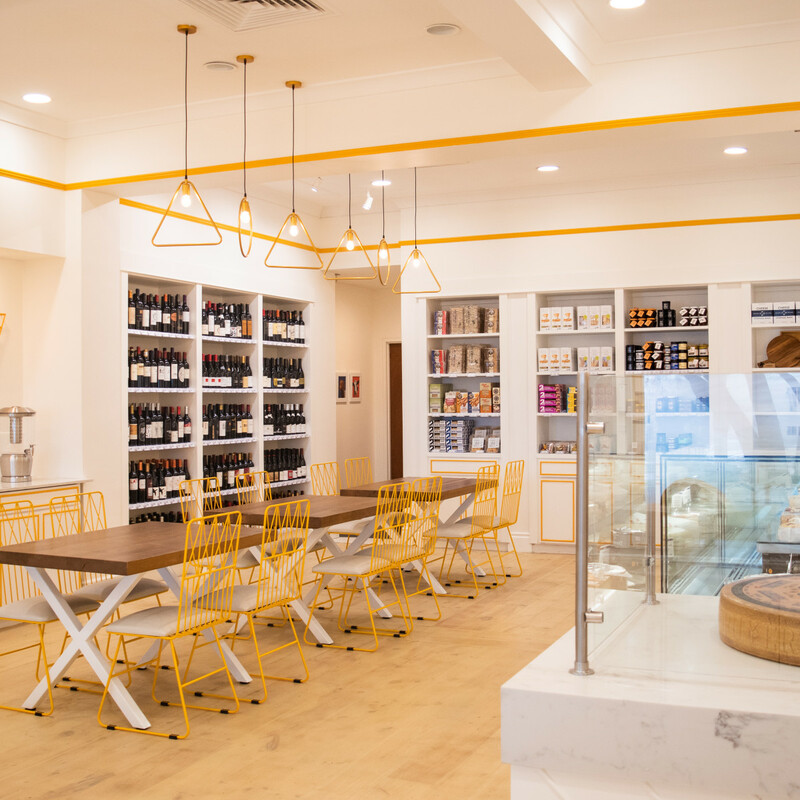 The new store primarily sources from American farms, handpicking everything from aged gouda to rarer Morbier-style goat cheeses. While sourcing, cheesemongers pay great attention to the details, whether that’s the production method or animal husbandry practices. The staff is then trained to share the story of the providers with customers. 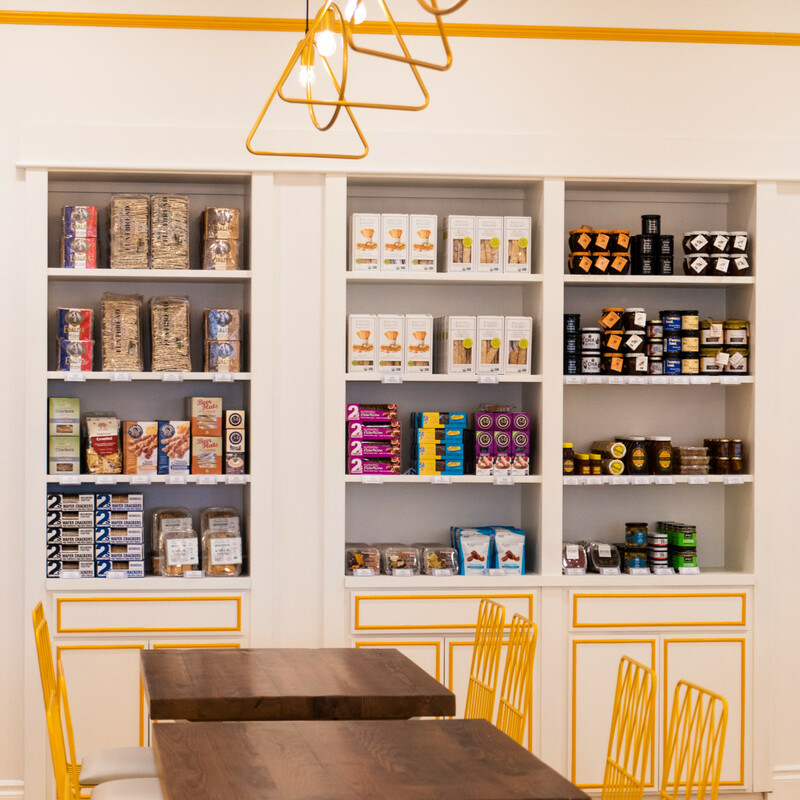 In addition to the main focus, the shop also has everything needed to build a proper cheese board, including crackers, handcrafted chocolate, and honey. 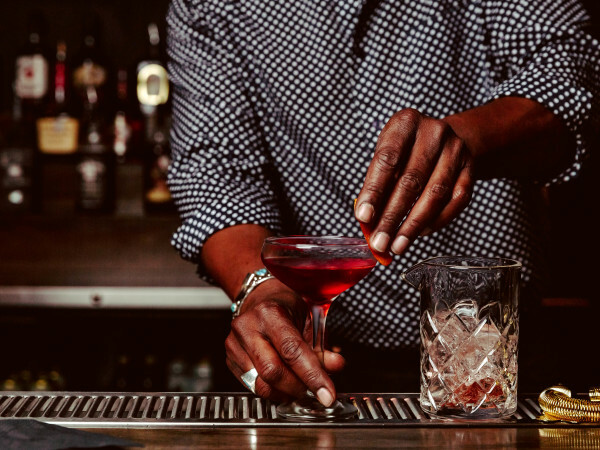 Naturally, beverage pairings are not neglected with a selection of 300 global wines and a rotation of Texas craft beers. Although retail is the main focus, the shop will also start selling sandwich and salads beginning November 12. 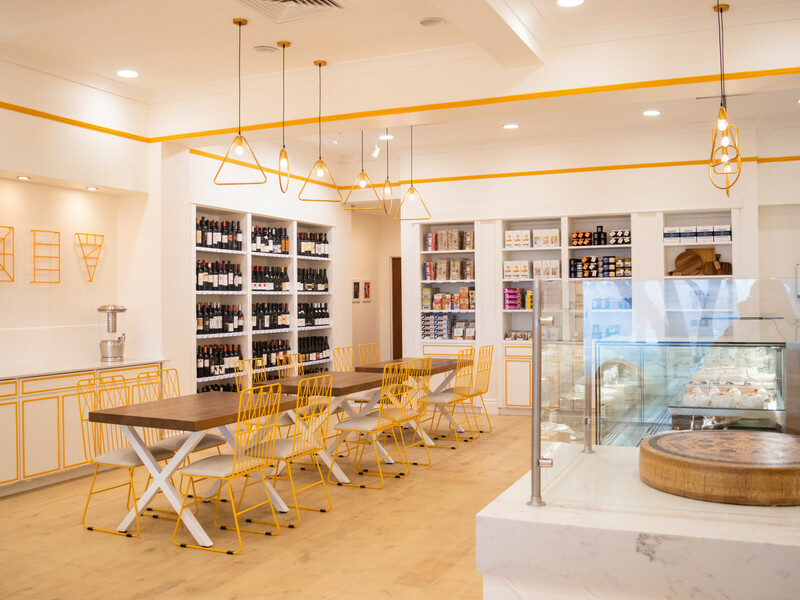 The dishes make great use of the store’s stock in dishes like Gruyére, Fontina, and Asiago mac ’n’ cheese; a green goddess Cobb salad; and a bacon-and-brie sandwiches. Cheese and charcuterie flights round out the menu, which can be enjoyed on-site or ordered for boxed lunches or catering. 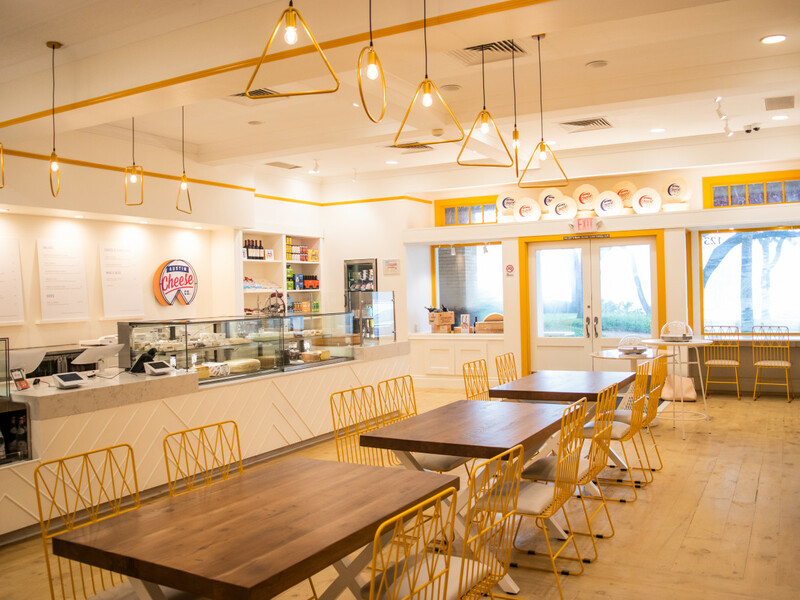 Fittingly, Austin Cheese Co. takes the obsession with cheese to the decor. 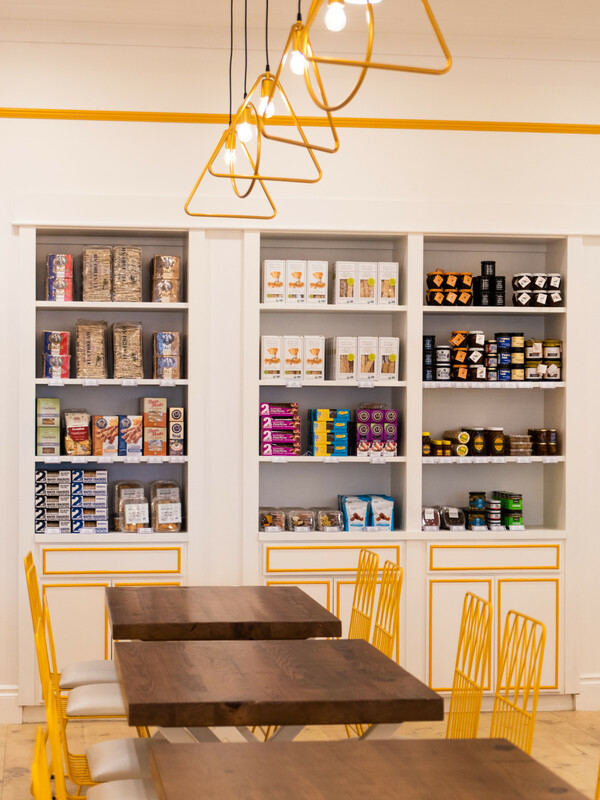 Although the space is predominantly white, poppy bright yellow accents are featured in tubular metal chairs and in the trim. Brassy geometric fixtures hover above while rustic wood floors below temper all the gloss. 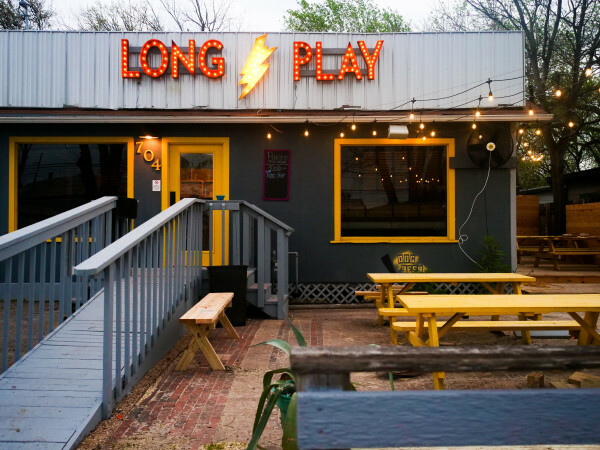 Although the tasting room is now open, the owners are still receiving stock. A small array of cheeses are currently available, but that will be supplemented with many more varieties in the days to come. A large selection will also be available for purchase online. But nothing beats being able to taste samples in the actual shop. 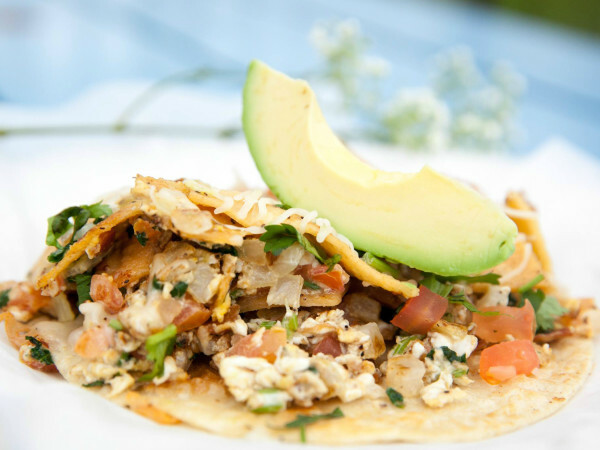 Foodies can graze Monday through Saturday, 11 am-8 pm and Sunday, noon-6 pm.